Having tested the PEN Lite E-PL3 and PEN Mini E-PM1, what’s left for review to complete the latest PEN trio launch is the PEN. The E-P3 is the top-line Olympus mirrorless camera and offers a lot more manual controls than the other 2 models, catering to the advanced users. After testing the E-PL3, followed by the identical E-PM1, I was not prepared with what I was about to experience on the E-P3. The combination of a fast AF, lag-free shutter release, plenty of customisation options, and lots of hardware buttons make the E-P3 an astounding camera. Included with the review unit is the Olympus M. Zuiko 12mm F2.0 full-metal lens, which further add to the retro look and feel. The pop-up flash mechanism is well-secured and seems to be able to take some abuse. Here’s a glance of all the buttons on the camera. The function list is generally similar to E-PL3 and E-PM1, just that with dedicated buttons, you can invoke the functions directly. The E-P3 is not small and certainly not light. Here’s a comparison with some cameras I have on-hand. 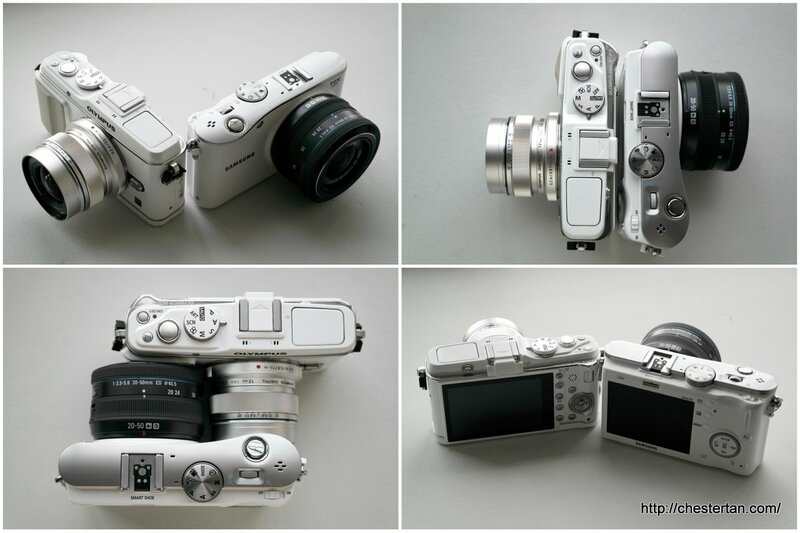 The E-P3 is identical in size to the Samsung NX100. The NX100 is much lighter as it’s a plastic body. Choose whether to reset the lens to infinity when the camera is turned off. Choose the direction of focus ring to adjust focus. For face priority, choose whether to focus on the left eye, right eye, or nearest eye. Select functions for the 2 rotating dials on the camera for each of the PASM modes. Choose the direction of the rotating dials. Choose to hide any Picture Modes. Choose to hide the Custom Menu that contains all these settings! Fast AF and shutter release. I was impressed that I could capture some fleeting moments. Art Filter Bracketing. I can set as many filters for bracketing as I like. One shot, and the camera processes the rest. But don’t choose too many, for the camera will take a long time to save all the images, thus slowing down your shoots. Touch screen. It has certainly sped up area focusing during shooting mode. I also like how you can smoothly swipe around enlarged images during playback, and how you can double-tap the screen to zoom into the area immediately. The touch response feels quite natural. Detachable Grip. I can choose the type of grip I want, or remove it completely. Customised Fn buttons to invoke Mysets. It’s more useful that I thought. When I press and hold, the camera settings change to the Myset that I defined. This is better than requiring me to switch the mode dial to a custom mode, which is how LUMIX is done. Orientation sensor. When you change the orientation of the camera during playback, the images rotate too. Wireless Flash Commander. 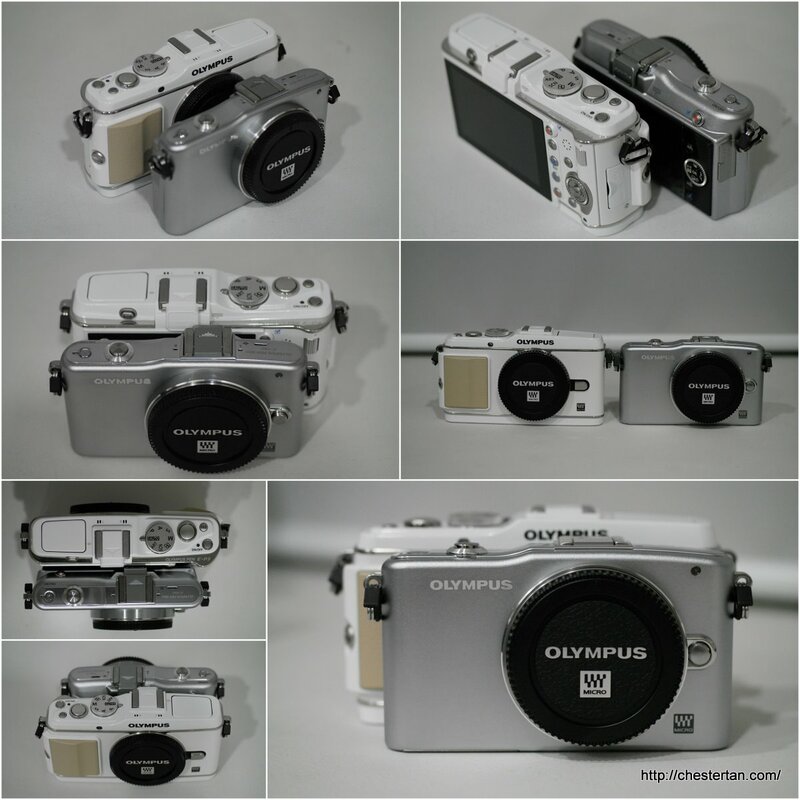 With external Olympus flash units are used, the E-P3 built-in flash can trigger them. Heavy. E-P3 is a solid piece of camera gear. The white powder-coated review unit shows quite a bit of wear and paint chips, but otherwise, I am assured of its build, but at a weight. Slow start-up. The LCD monitor appears rather fast but the shutter does not work until about a second later. So you need to anticipate the moment by turning on the camera earlier. Videos exhibit rolling shutter effect. When you record jerky video, you notice that the footages wobble. That’s because there is some lag to scan and record from the top of the frame to the bottom of the frame. Menu layout. There are some settings that I am unable to access quickly. Searching for some parameters proves to be a test of memory. E-P3 is not for the user who fancies setting changes on-the-move. But you could rely on the Mysets to preconfigure your commonly used settings and then choose the Mysets during your shoots. Lacks post-processing filters. If you did not shoot with Art Filters, then tough luck. You can’t post-process it after the shot. Workaround: enable Art Filter Bracketing during shoots, then delete the effects that you do not want. The Olympus E-P3 is the camera of choice for photographers who desire a great deal of customisation on their shooting parameters. The E-P3 user is one who understands the technicalities of camera settings and takes control of their final image output. 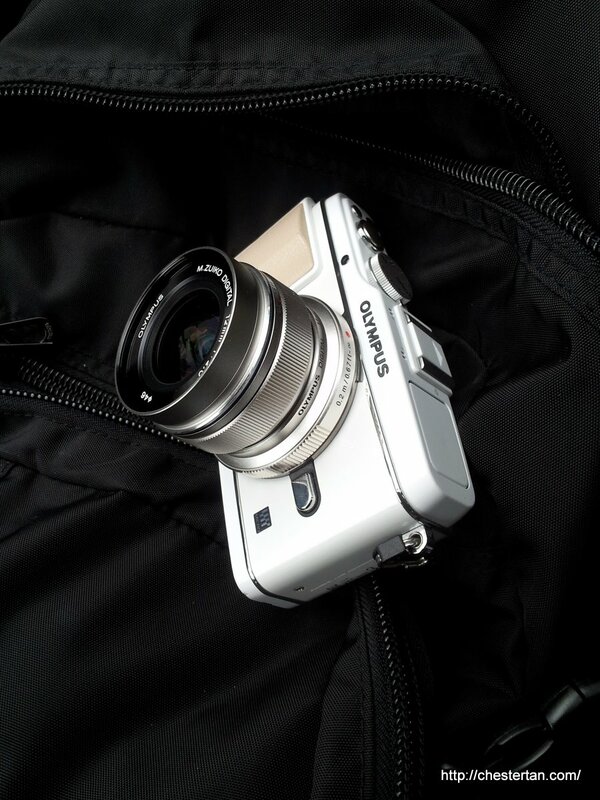 Olympus has implemented most of the advanced features across all their 3 latest PEN cameras. But for the LITE E-PL3 and MINI E-PM1, fewer buttons means more difficult to use the sets of features. Needless to say, among the 3 new PEN models, the E-P3 offers the best usage experience, and should be the one to get to fully appreciate the interface and functionality of an Olympus PEN camera. You like "Customised Fn buttons to invoke Mysets" and actually prefer to the mode dial implementation. Hi Hendrik, thanks for your question. The Fn-button Myset shortcut is useful when you need a temporary setting change, and do not need to further modify the preset.